Tricker’s and Norse Projects continue to build their shoe shaped friendship with the release of this Blucher Shoe in two colourways. 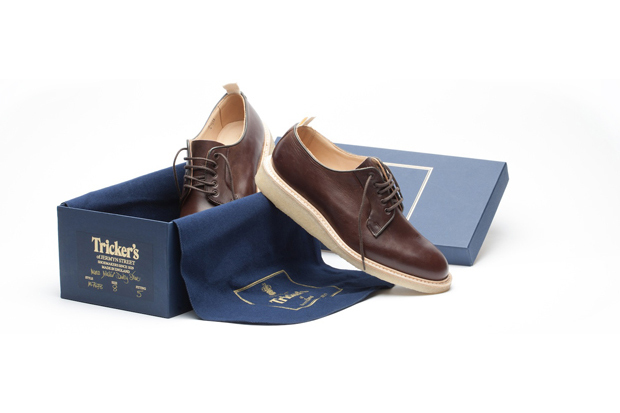 Sat high atop a natural crepe wedge, this Blucher Shoe takes a traditional Officer’s shoe and gives it a modern twist, but not twisting it too far. The use of oiled leather on the upper and a contrast vegetable tanned leather lining keeps things traditional, aided by the waxed cotton laces. 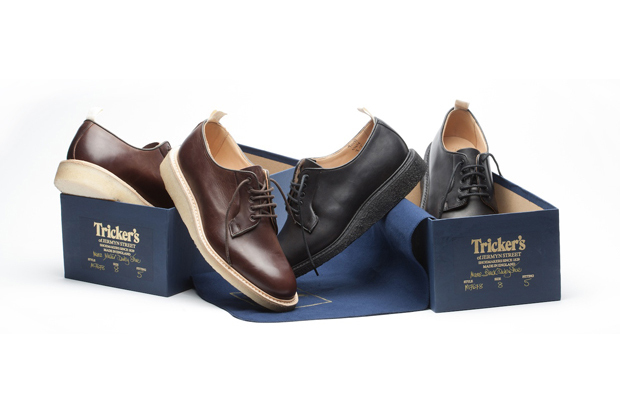 The addition of a cotton pull tab on the heel brings things into the current era, as does the crepe sole. Both colourways are deliberately undemanding, with the burgundy edition being our favourite over the A.B.E. number. Other than the collaborative branding on the insole, the shoes remain unbranded to keep them as clean as can be. 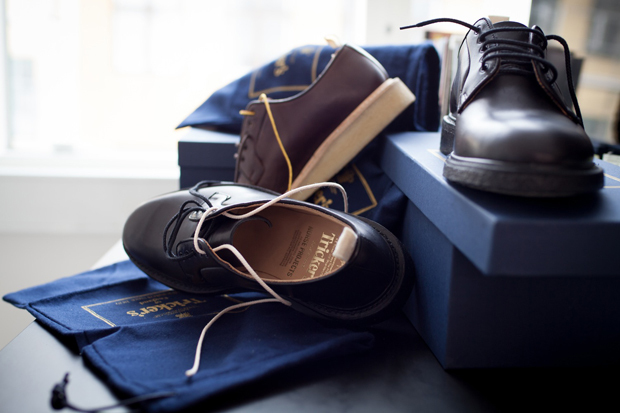 These are available exclusively from the Norse Store with a price tag of £375 a pair. these are so good, but the price tag is too much.